Global mobile and social gaming company, Gree Inc., has made a minority investment in IUGO Mobile Entertainment Inc., a Vancouver-based game developer. Under the new partnership, Iugo and the Japan-based Gree will co-develop high-quality, free-to-play content leveraging Iugo’s’ three proprietary technologies – IUGO Games Library, IRender 3D Engine, and IUGO Mesh Social Game Engine – which Gree will use to speed up development and enhance the quality of its social mobile games. Iugo specializes in the design, development and deployment of premium quality mobile games. The new partnership follows Gree’s recent investment in HTML5 powerhouse, Wizcorp. “We are honored and excited to partner with developers who share our passion for delivering quality mobile social entertainment,” says Shanti Bergel, senior vice president for business and corporate development of Gree’s subsidiary, Gree International, Inc. “We look forward to working with IUGO’s talented team to grow the leading mobile social ecosystem for players and developers alike,” Berget said. Gree is dedicated to building a global mobile social gaming ecosystem that allows players to connect with friends through high-quality game experiences while offering developers access to a high-engagement audience. 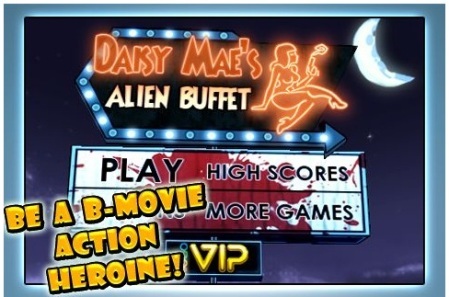 Earlier this year, the company launched the first two games developed by its San Francisco studio – Zombie Jombie and Alien Family.